The annual Dr. Ranajit K. Datta Lecture brings nationally and internationally recognized experts in the field of art history and archeology to discuss new scholarship, museum exhibitions, and archaeological discoveries in Indian art. The annual Dr. Ranajit K. Datta Lecture is made possible through the Dr. Ranajit K. Datta in Memory of Kiran P. and S.C. Datta Endowment Fund. 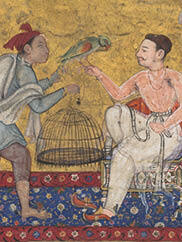 Anupam Sah, head of conservation, research, and training at the Museum Art Conservation Centre at CSMVS (formerly the Prince of Wales Museum of Western India), discusses the history of paint and painting in art of the Indian subcontinent. 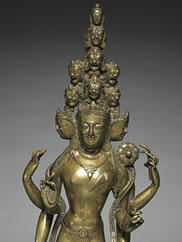 Robert L. Brown, Professor of Indian and Southeast Asian Art, UCLA, presents a lecture that focuses on the most popular and important bodhisattva named Avalokiteshvara. 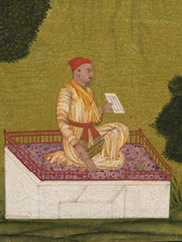 In this lavishly illustrated presentation the speaker will examine the oeuvre of this great painter to identify the qualities of uniqueness and excellence that contributed to the very establishment of the imperial Mughal painting style.